Behind passion fruit´s rather inconspicuous skin hides a true vitamin bomb: this tropic fruit contains a good deal of vitamins A, B and C as well as calcium, magnesium, iron and phosphor. This exotic fruit with its peel ripening to a dark purple excites with a sweet sourly aroma. Besides German quality wine the natural passion fruit TASTE ripened under the tropical sun turned out to be the ideal ingredient for our tangy SECCO+ PASSION FRUIT TASTE mix. Because this natural aroma together with the color purple simply are the heart and soul of our newest SECCO+ creation. Just open a bottle of tropic feeling and enjoy this exotic-luscious kick of freshness. 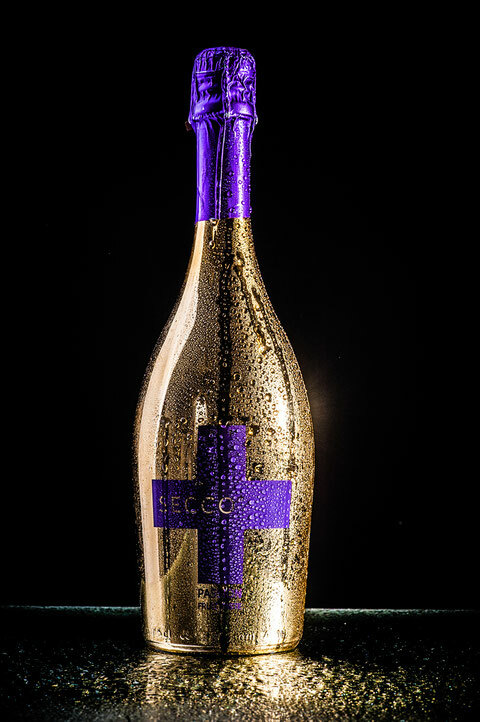 SECCO+ PASSION FRUIT TASTE is as of now available in the elegant 750 ml bottle in the handy 200 ml bottle or as the 250 ml slimline can for your little “to go” thirst – all come with golden purple design. So you will always know where to find the true exotic.